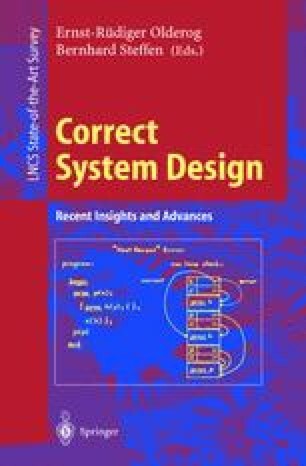 This paper describes the application of model-checking based verification tools to specification models of automotive control units. It firstly discusses the current state of a tool set which copes with discrete controllers described in STATEMATE, and then reports on proposed extensions currently under development to deal with hybrid ones which involve continuous values, too. First results based on an extension of abstraction techniques to verify such units are reported. Much of the current verification environment has been developed within the projects KORSYs(BMBF) and SACRES (Esprit), in dose cooperation with the team at Siemens ZT lead by Wolfram Büttner and Klaus Winkelmann, and with i-Logix Inc., Andover, USA, The model checker underlying the STATEMATES verification environment has been developed at Siemens ZT, Munich, FRG, The semantic foundation was laid jointly with Amir Pnueli, Weizrnann Institute of Sciences, Rehovoth, Israel [DJHP98].